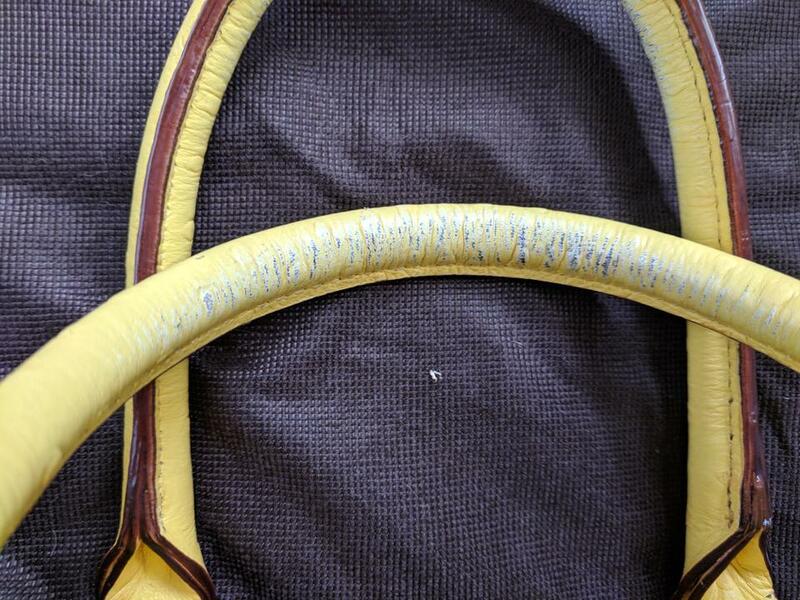 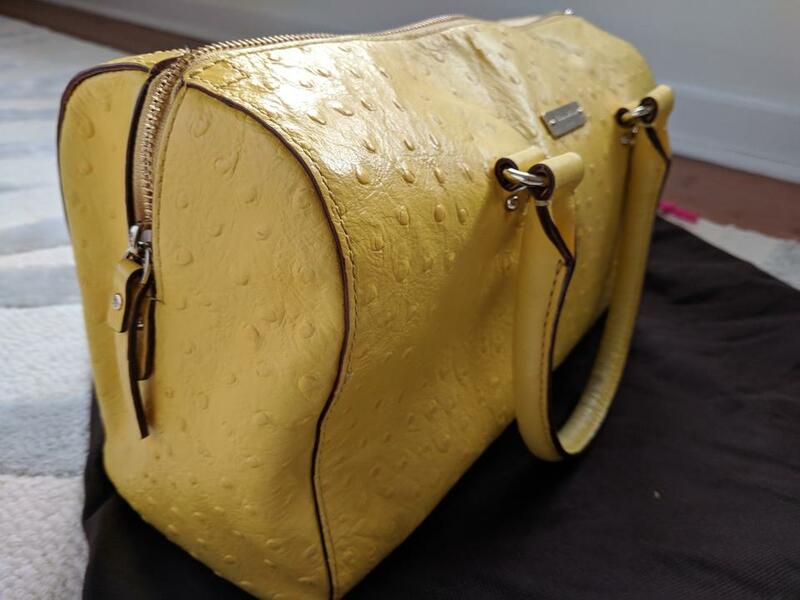 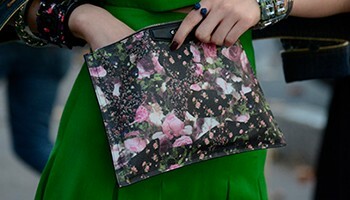 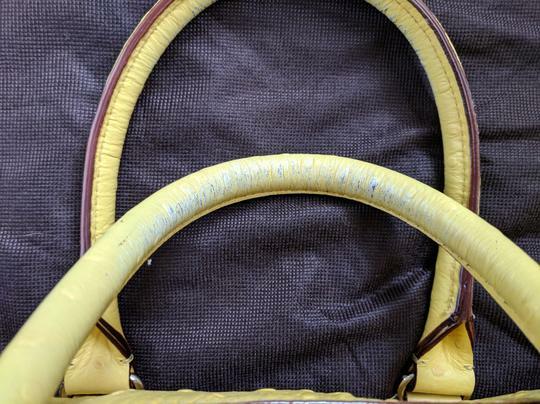 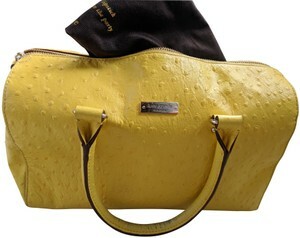 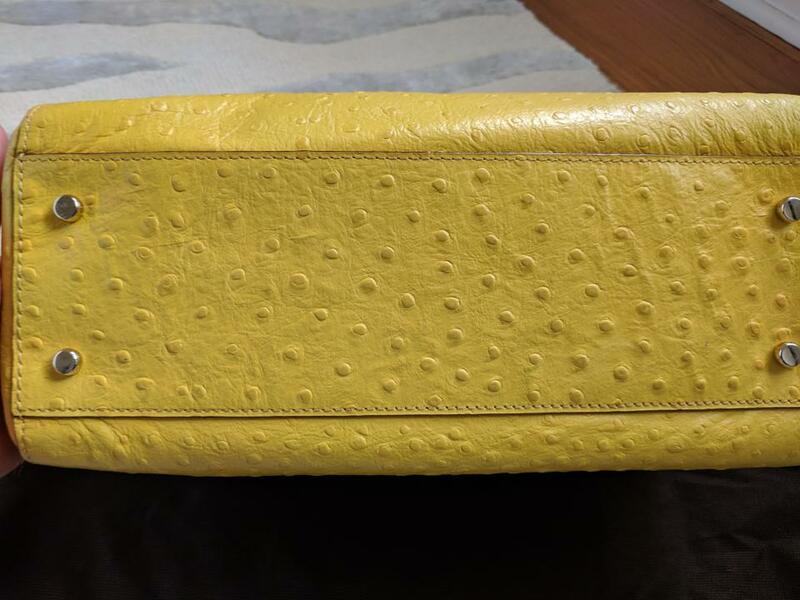 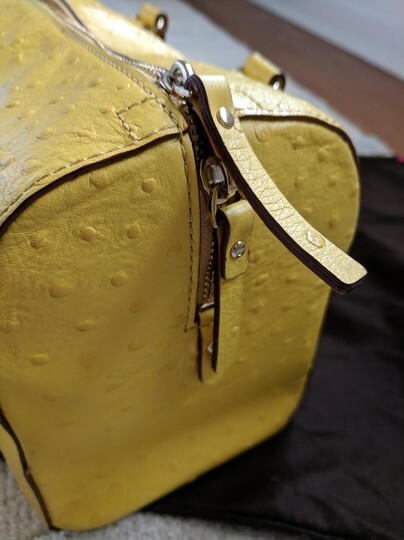 Leather wear on under-sides of handles (see photos). 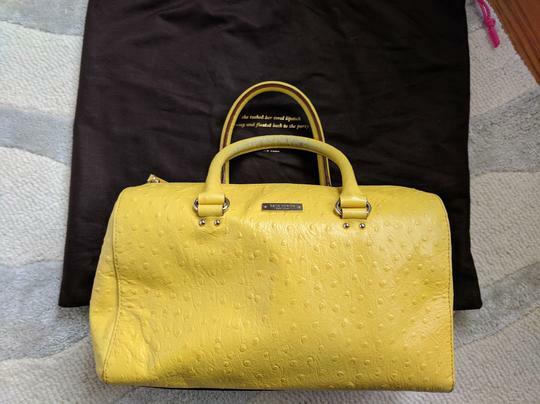 Structured satchel in a timeless silhouette is updated in ostrich-embossed leather and topped with double rolled handles and a two-way zip closure. 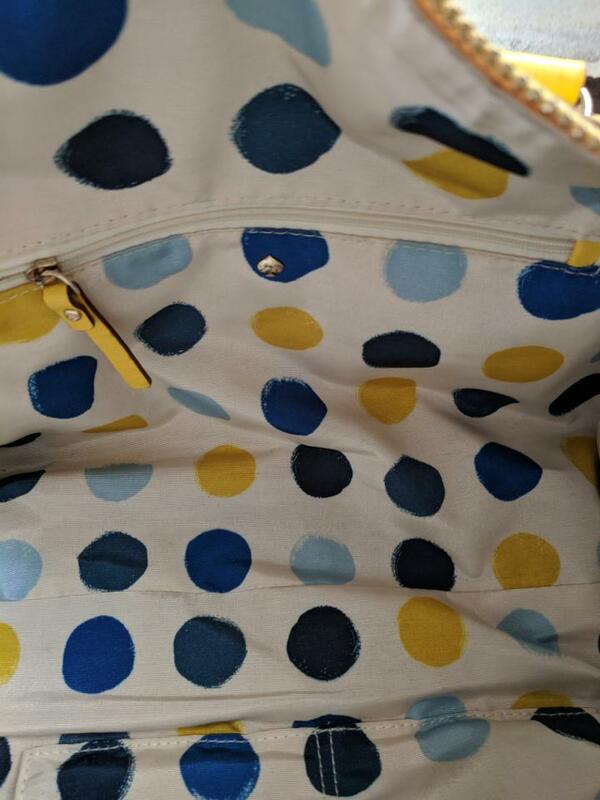 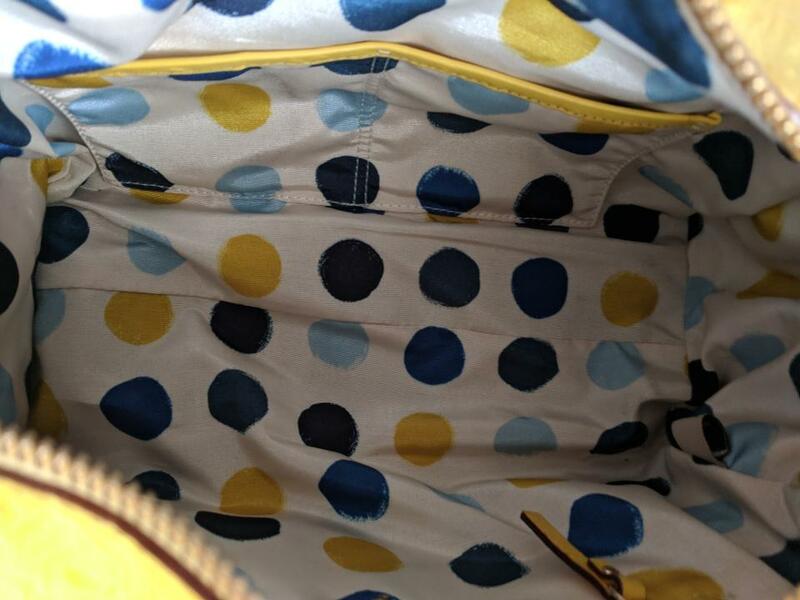 Fun polka-dot interior lining with an interior zip, wall and cell phone pocket. 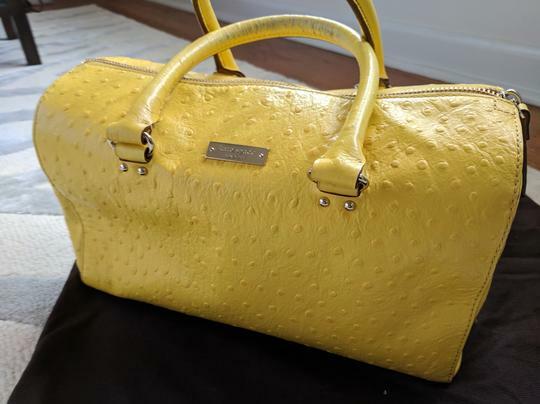 Protective gold metal feet and signature Kate Spade nameplate.